This odd looking ferry started out as a less odd looking ferry, build as the Viking Venturer for Townsend Thoresen she was later lengthened and widened, resulting in the strange, odd, ugly vessel in the pictures you are looking at now. I guess functionality goes over looks but this is a serious case of WTF?? How could they have let this happen?? 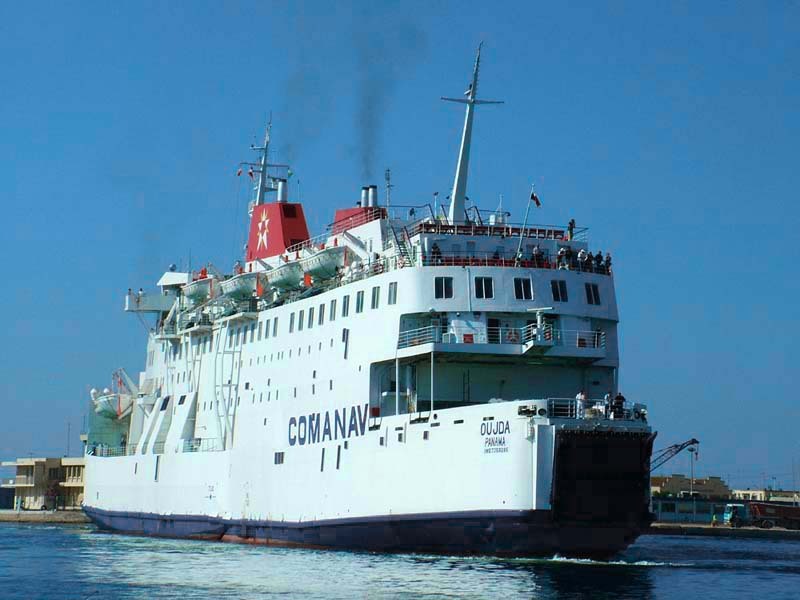 She is now trading as Oudja, see below picture…..The stern is as bad as the bow! There are 3 sisterships trading over the seas: 2 of them have never undergone the bad surgery this one has but the last one unfortunately did. the 2 unmolested ones are the Viking Viscount & the Viking Voyager, now respectively operating as Vitsentzos Kornaros and Samothraki.